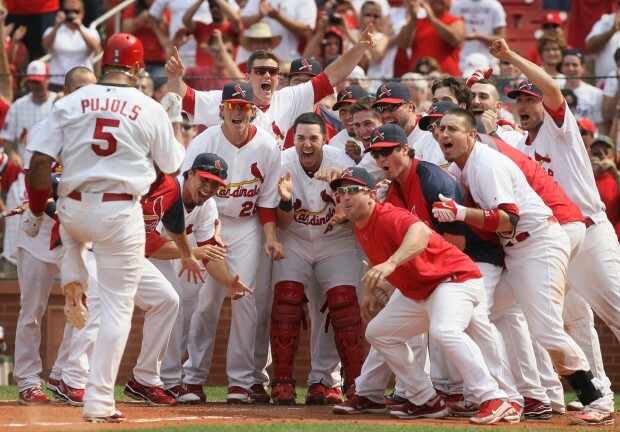 It’s the final day of March, with 5 days now until the regular season begins for the Cardinals on Sunday night. The No. 5 brings only one person to mind, of course. 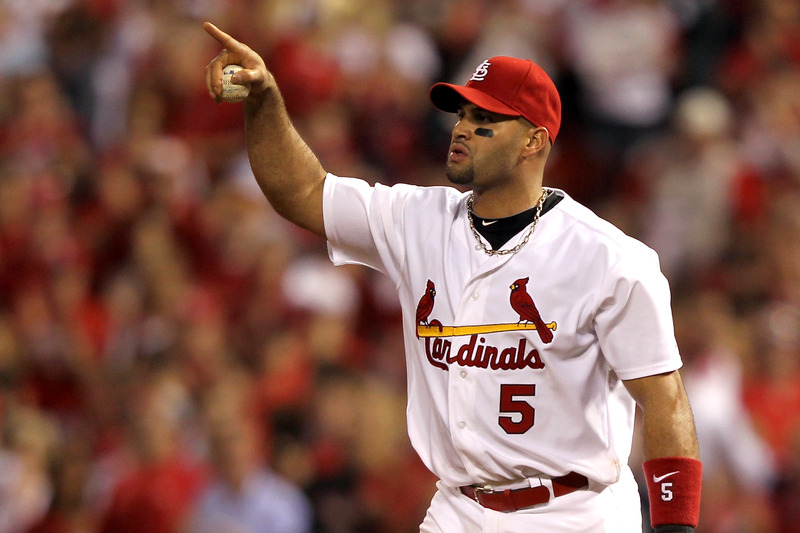 Yes, Albert Pujols, or That Guy Who Used to Play First Base. Although now, going into his fourth season with the Los Angeles, California, Angels of Anaheim in Orange County, USA, the bad feelings over his departure have waned (for me at least). And I’m still glad, as I was at the time, that John Mozeliak didn’t sign him to a ridiculously expensive contract. Albert’s best years were as a Cardinal, as he was a three-time National League MVP during his 11 seasons and compiled numbers of .328/.420/.617. Plus he gave us some incredible memories in the postseason. Ah, Albert, those were the days … as were these. Yes, Albert was one of the cornerstones of the team’s success from 2001-2011, as he continually amazed us year after year, and he’ll no doubt be headed to the Hall of Fame one day after his Angels career has ended. Which certainly means that No. 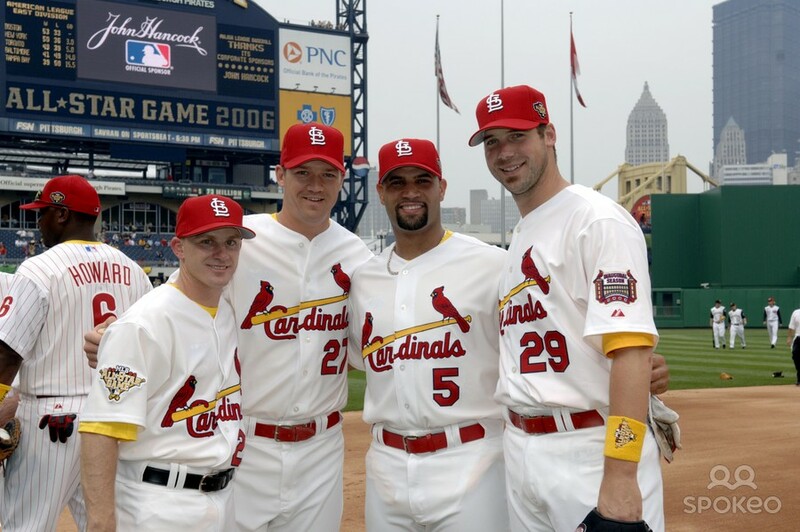 5 will one day grace the outfield wall with the rest of the retired numbers. For now, though, just 5 more days! This entry was posted in 2015 Cardinals and tagged Albert Pujols, Countdown to Opening Day by Christine Coleman. Bookmark the permalink.